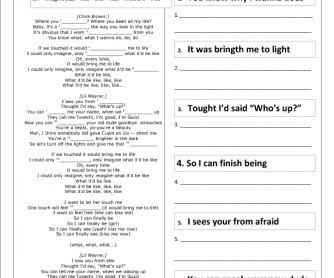 This a song worksheet for the popular song: I can only imagine. 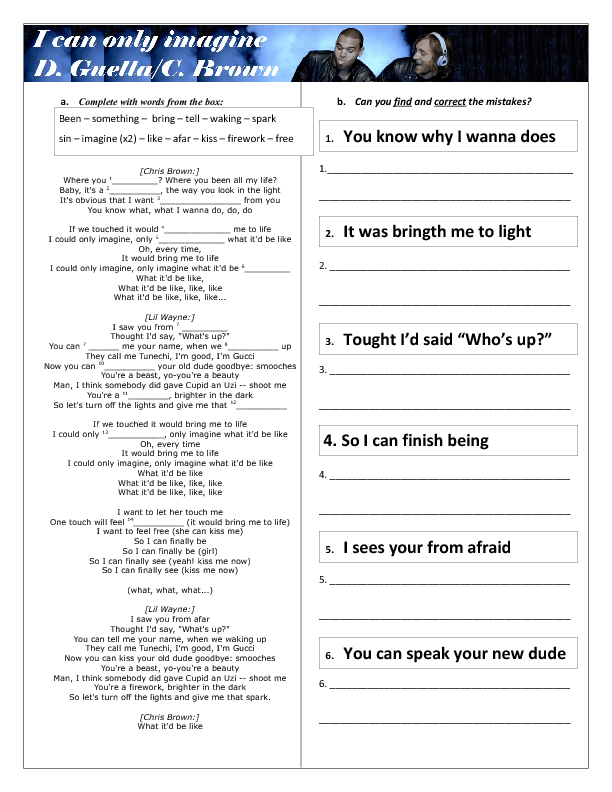 It includes activities such as filling in the gaps and correcting grammar mistakes. It's good for pair work, where they can discuss English written aspects. It's a very flexible handout that you can also expand by adding more activities.